The card is done based on Papertake Weekly sketch 64.
those kitties are just so cute! 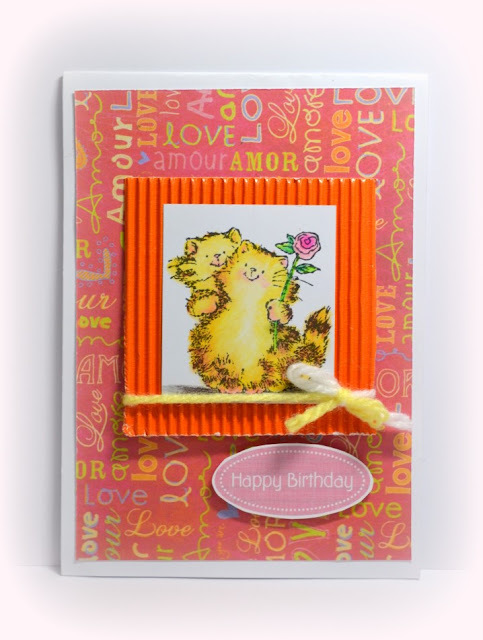 i love the textured frame, the bright sunny colours and the papers are perfectly suited to your card theme. thank you so much for sharing another sweet card with us at penny black and more this month. Another lovely card, thanks for sharing with us again. So cute! I love the sketch and image is adorable! Thanks so much for playing along with us at penny black and more! Hope we see you soon in our Sept. challenge!